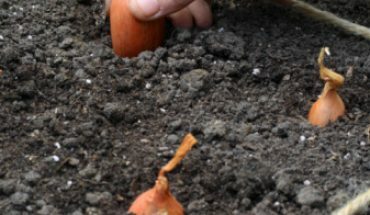 It doesn’t have to take a real professional gardener in order to know how to plant garlic and make it thrive for eight months to be ready for the harvest season. Anyone can learn how to plant garlic. However, one must be patient for the long wait and be ready to do the work that would be needed. Buy the garlic bulbs that you need to plant. 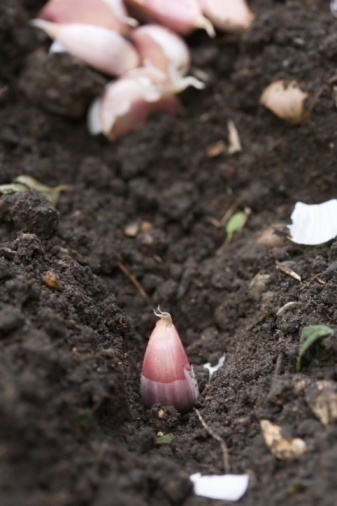 To learn how to plant garlic, you would have to start with first purchasing the right garlic bulbs and ensuring that you have the perfect climate for planting. 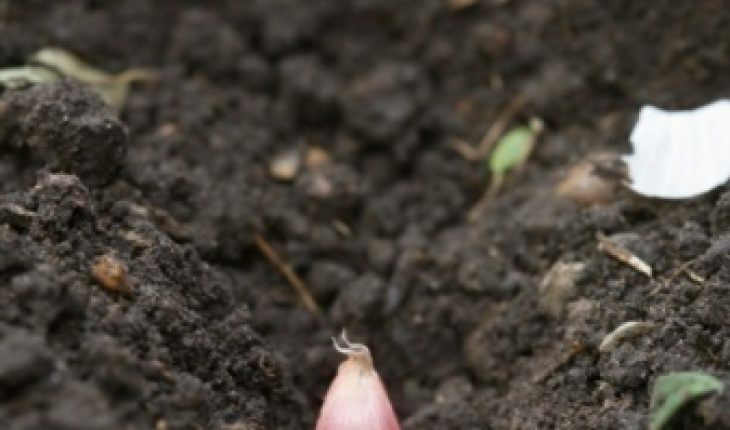 Basically, most gardeners buy their garlic bulbs during the early winter or late fall season and plant them about six weeks before their assumed time when the soil would freeze. 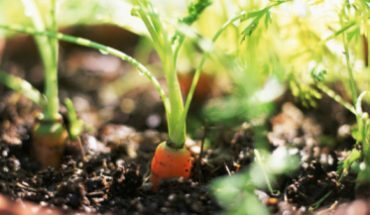 Some prefer buying started seedlings so it would shorten their waiting time for harvest. However, started seedlings wouldn’t usually be there in the stores for you to buy. It’s highly unlikely that you would find them. Usually, garlic bulbs are more commonly sold in most stores. Once you buy them, examine them. You only need to plant the largest cloves you would find in the bulb. Others that may look unhealthy, with a tinge of blue green, are not fit for planting since this is one of those signs of mold. Moreover, you better check if you are planting the right side of the clove. Basically, you need to put the pointed end up when you place them in the ground, approximately two (2) inches deep and at least five (5) inches far from each other. Make sure to have a garden spot that gets a lot of sun. In learning how to plant garlic, be sure that your garden spot that you have chosen for planting gets a lot of sunshine in. This is absolutely important in understanding how to plant garlic and making them grow in a healthy manner. Although most gardeners may tell you that garlic actually can grow in any type of soil or garden spot, it would do you most good if you choose a sunny spot in your garden. And don’t forget to dig around eight (8) to twelve (12) inches in the soil and give lots of compost so that your garlic bulbs would get good drainage, moisture retention, and be healthy and fertile. Don’t forget to weed your garden. 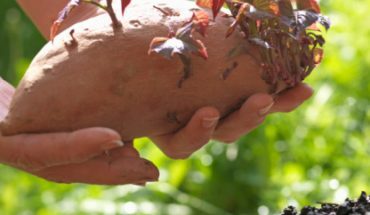 Making sure that you know how to plant garlic would also mean making sure that you would have time to weed your garden every time. Remove all traces of weeds. Water them and check for signs of maturity. Water your bulbs for at least an inch of water for a week. Continue doing this until you see that the foliage of the bulbs would either fall over or turn yellow. Don’t be so worried when this happens. This is a clear indication that your bulbs are becoming more matured. Learn when it is time to harvest the bulbs. There would be a time when you would notice that your garlic bulbs would have a yellow spot, about ¾ of its top part. When this happens, you can now harvest them. 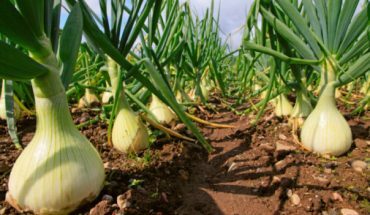 Understanding the simple steps involved in learning how to plant garlic can make any novice happily work one’s way through the planting, waiting, and harvesting period. As such, it doesn’t have to take complicated steps to bear in mind.